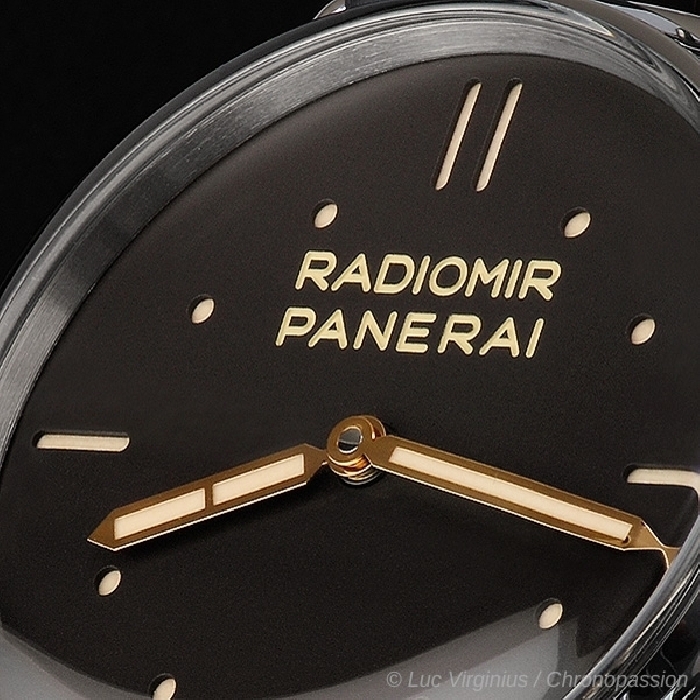 Panerai | 35'000 € Tax inc.
HISTORY The name Radiomir derives from the special, highly luminous paste which Panerai had already patented by 1914. In fact, the Italian Navy not only required a simple timepiece, but also a real professional instrument that was mechanically reliable and water tight for up to 30-40 metres of depth. 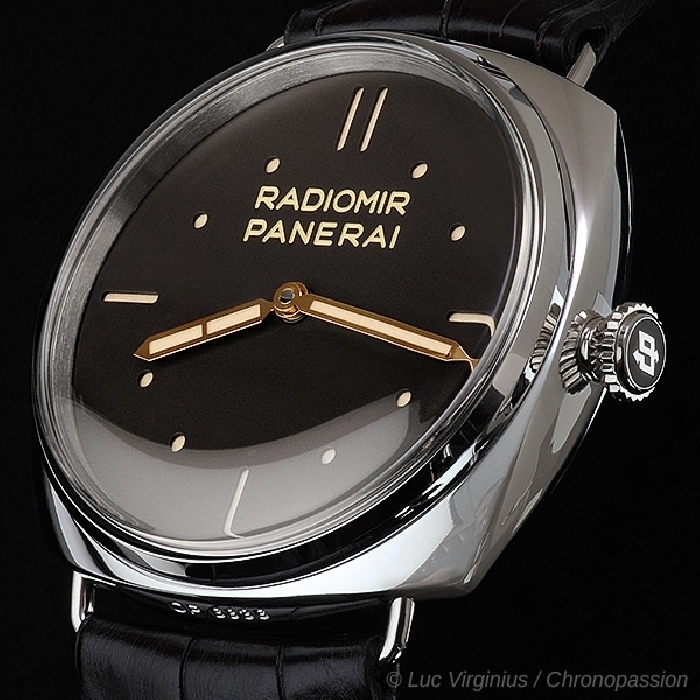 The dial of the watch had to be easy to read, both in complete darkness as well as in the murky waters of the ports where the commando units often operated, and the Radiomir paste, subsequently used with a special dial structure, proved to be the best solution. The watches made for the Navy were distinguished by their large diameter, cushion-shaped case, their crown and screw down case back, which ensured water resistance far superior to that required and was unrivalled by other existing models at the time. 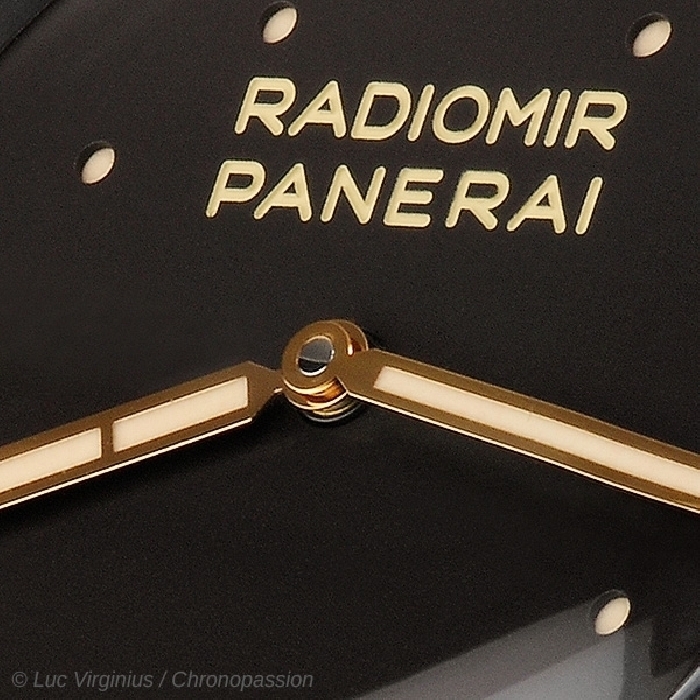 THE DIALS The other dials were developed shortly after, the most mysterious of these undoubtedly being the one found today on the Radiomir 3 Days Platino – 47 mm (PAM00373). 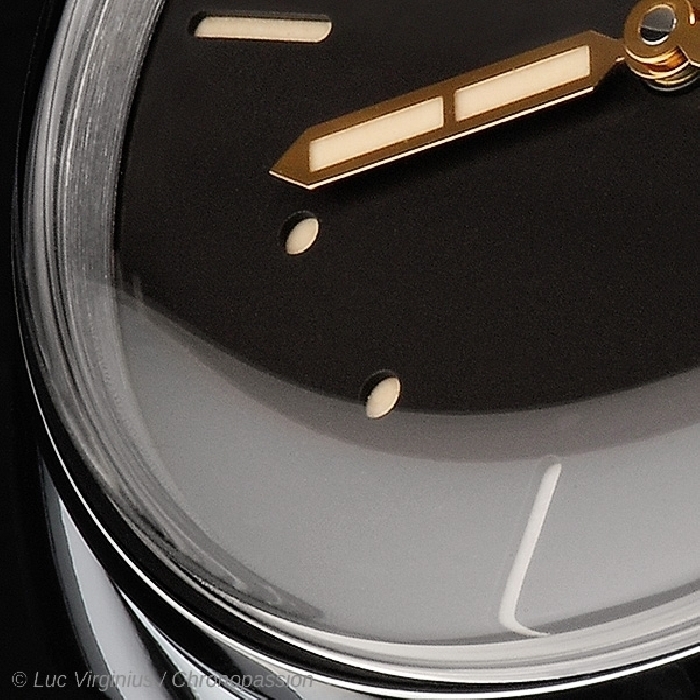 It is impossible to reconstruct the origins of this dial with any great precision, but it was most likely developed to try out the “sandwich” structure, one of Officine Panerai’s exclusive innovations, created to guarantee maximum night time visibility. 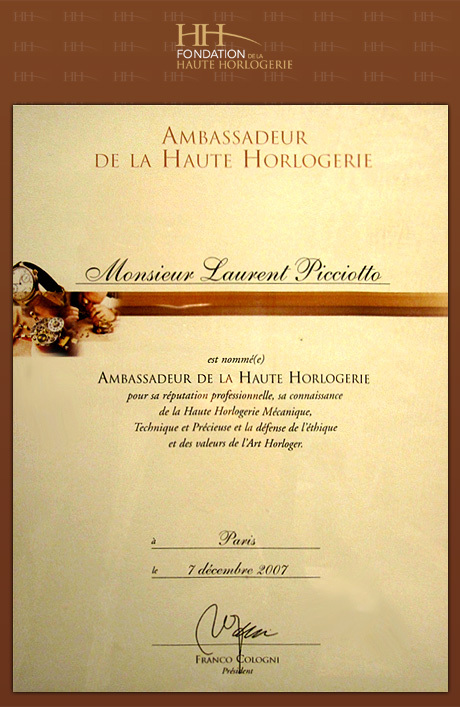 The sandwich dial is made of two thin metal plates containing a layer of paste whose luminosity is visible through the upper plate, perforated in correspondence with the index markers. 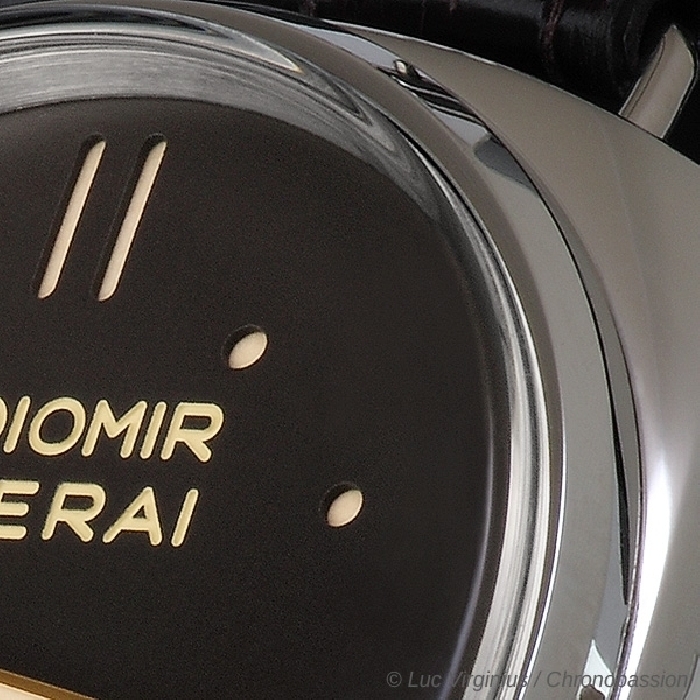 The index markers on the dial of the Radiomir 3 Days Platino – 47 mm have a more minimalist feel, with small round index markers incised on the upper plate, alternating cardinal points with single stick index markers at 3 and 6 o’ clock and double stick index markers at 12 o’ clock. 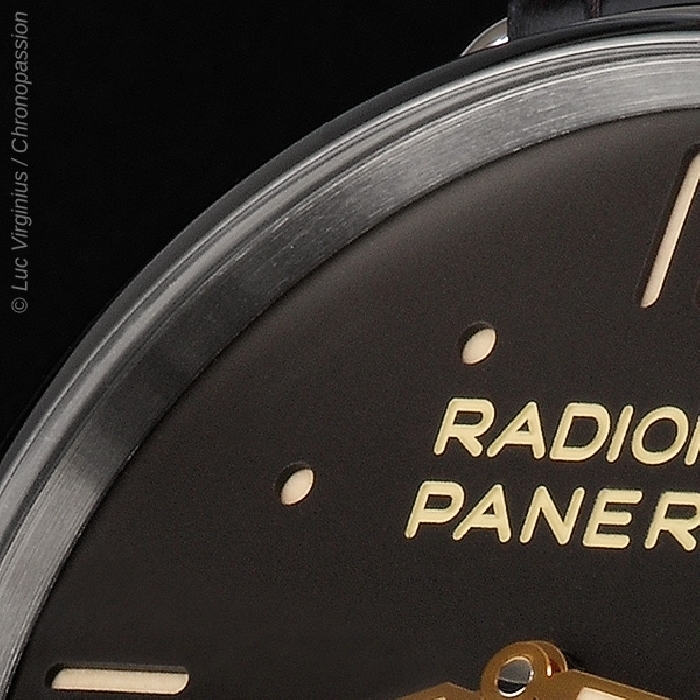 THE MOVEMENT: P.3000 Entirely designed, developed and produced in the Officine Panerai Manufacture in Neuchâtel, the hand-wound P.3000 calibre presents the main characteristics of the Panerai movements both in terms of structure and in terms of performance, robustness, accuracy and its long power reserve. The thickness of the calibre P.3000 is 5.3 mm and the diameter is 16_ lignes, a substantial size which traces its origins from that of the movements which were fitted to the historic Panerai models. The calibre is immediately recognisable by its construction, which is similar to that of a three-quarter plate movement: a large bridge, next to another smaller one, covers the majority of the mechanical parts and it is fixed to the bottom plate by a series of screws of substantial thickness, thus forming a particularly rigid structure. The movement has 21 jewels and it uses two spring barrels connected in series. Such an arrangement enables long, thin springs to be used, which ensures the delivery of a more even force and also does so over a longer period of time, with a power reserve of 3 days. The balance wheel is unusually large (13.2 mm) and it is the variable inertia type, with four adjusting screws arranged externally round the ring, so that the rate can be regulated without it being necessary to remove the whole assembly. Supported by a bridge with twin supports – a fixing much safer and more stable compared to the cantilevered single bridge – the balance wheel oscillates at a frequency of 3 Hz, equivalent to 21,600 alternations per hour. It is fitted with an Incabloc® anti-shock device and is free-sprung, so there is no regulating lever. 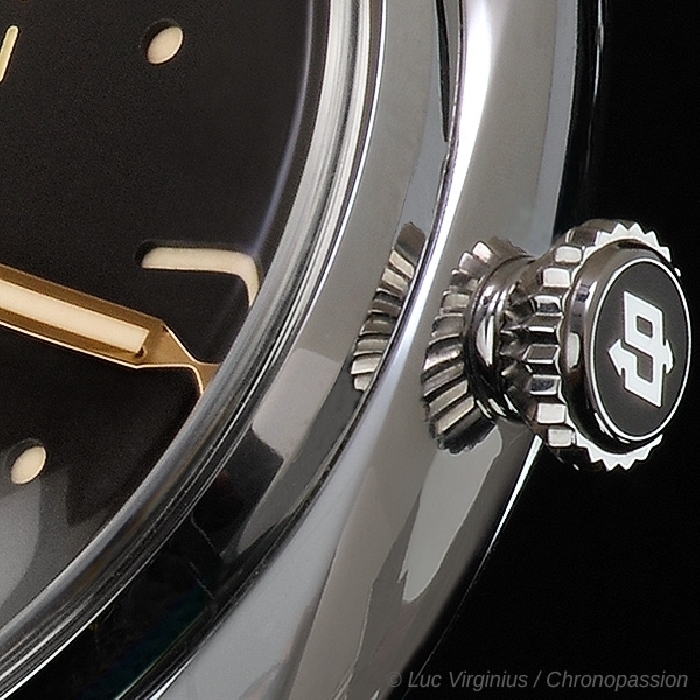 With brush-finished bridges and chamfered angles – that is, with the angles smoothed and polished – the P.3000 calibre is also fitted with the device for the rapid adjustment of the time: a star wheel with 12 points and a small spring clutch enable the hour hand to be moved one hour at a time, without interfering with the movement of the minute hand or the operation of the watch.